Near N, W trains 36th Ave subway station. 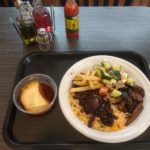 Corner of 32nd St.
Rice, beans, and sliced grilled sirloin beef, and chicken! 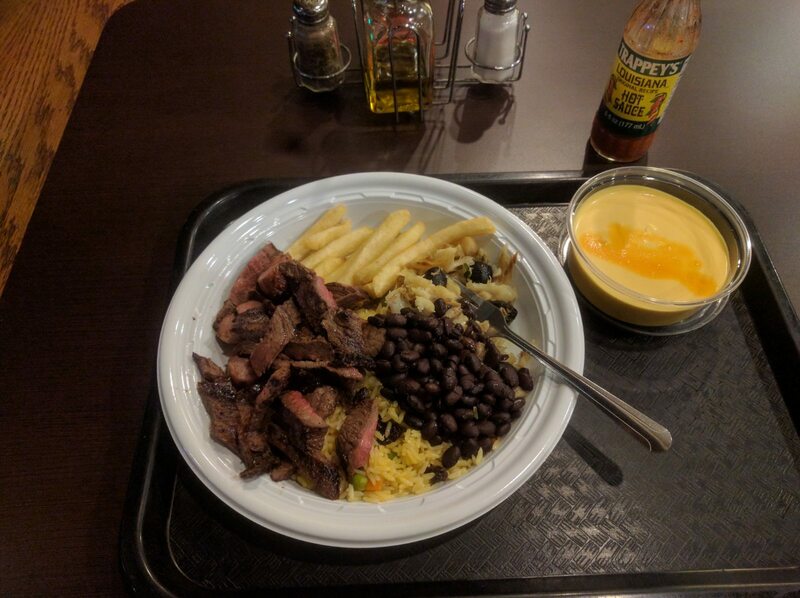 Best way to eat Brazilian food. 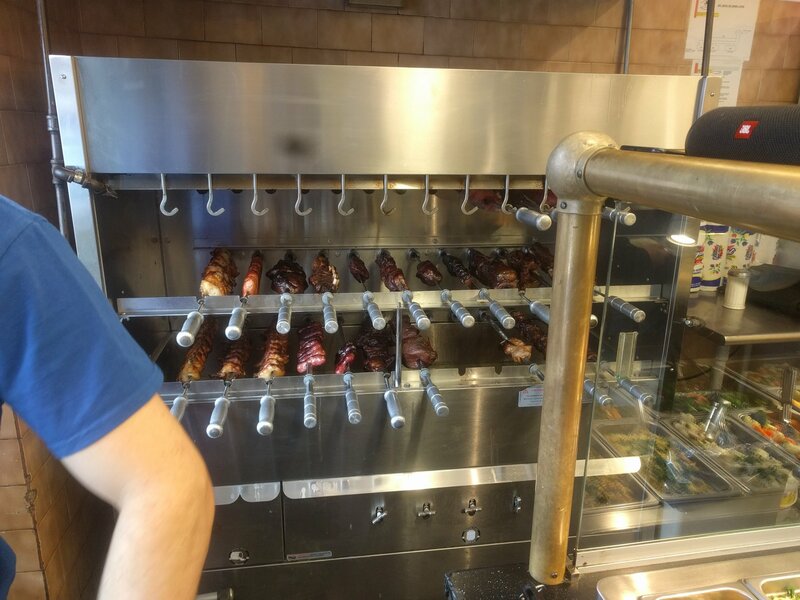 They have the famous grilled meats, churrascaria style. And a buffet of hot food and cold salads. 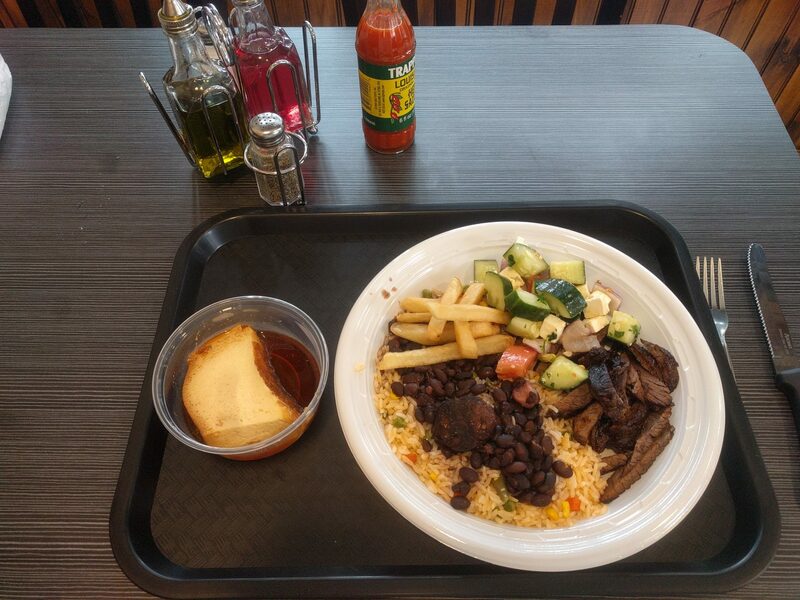 Rice, beans, and a sample of the meats, and it is a wonderful dinner. 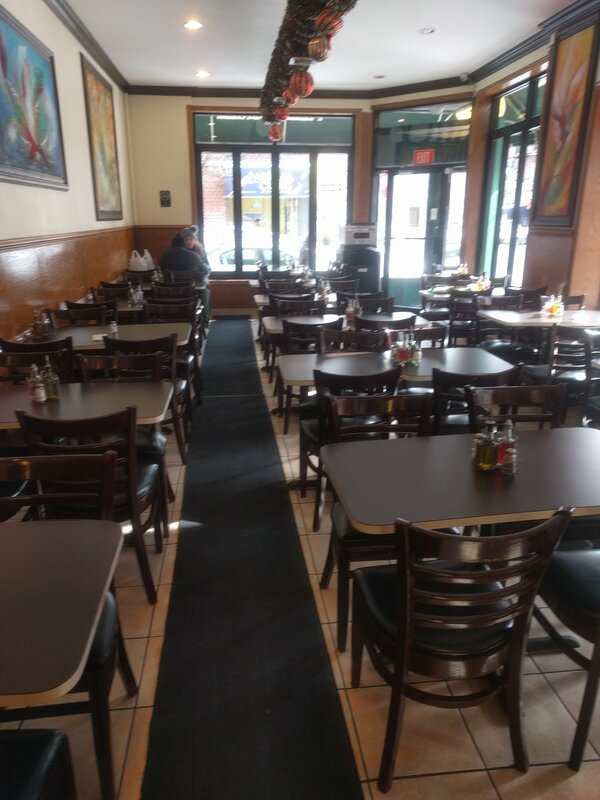 Place is self-service for both takeout and dining-in. Especially the grilled beef sirloin sliced on order. 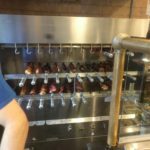 They have both regular grilled meats and blood varieties too. Stick to chicken and the sirloin steak for normal American tastes. 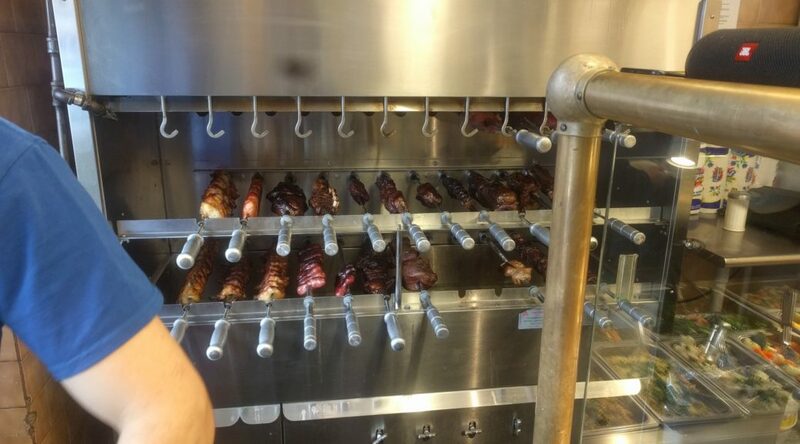 They will explain and describe all the skewers, just ask. 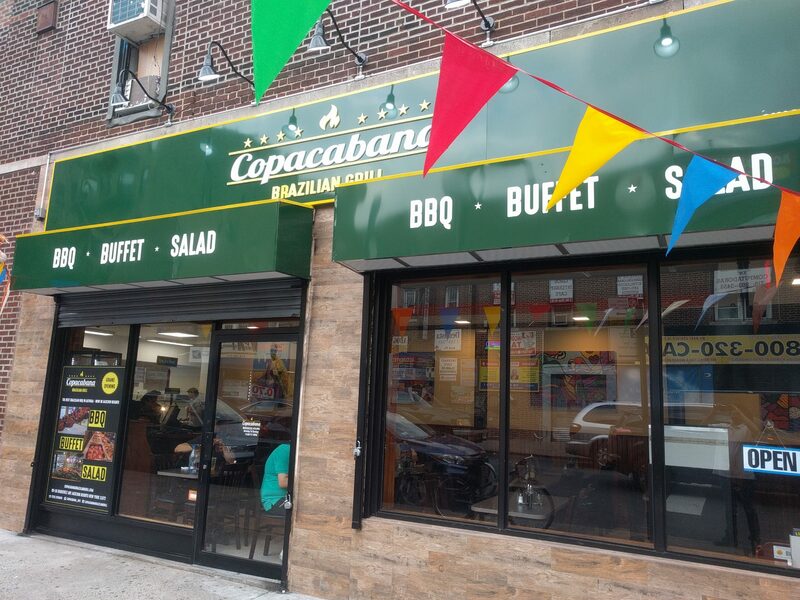 Copacabana Brazilian Grill. Jackson Heights, 82nd St station on #7 train. 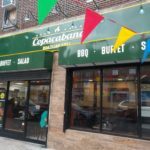 The name of this place is Copacabana Pizza and Grill, but that is just a name and there is no pizza available here! 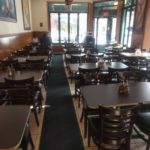 May 2017: A second location has opened up in Jackson Heights, nice! 80-26 Roosevelt Ave, 82nd St station on #7 train. 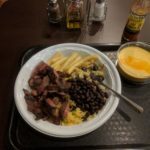 This one has the correct name: Copacabana Brazilian Buffet and Grill. 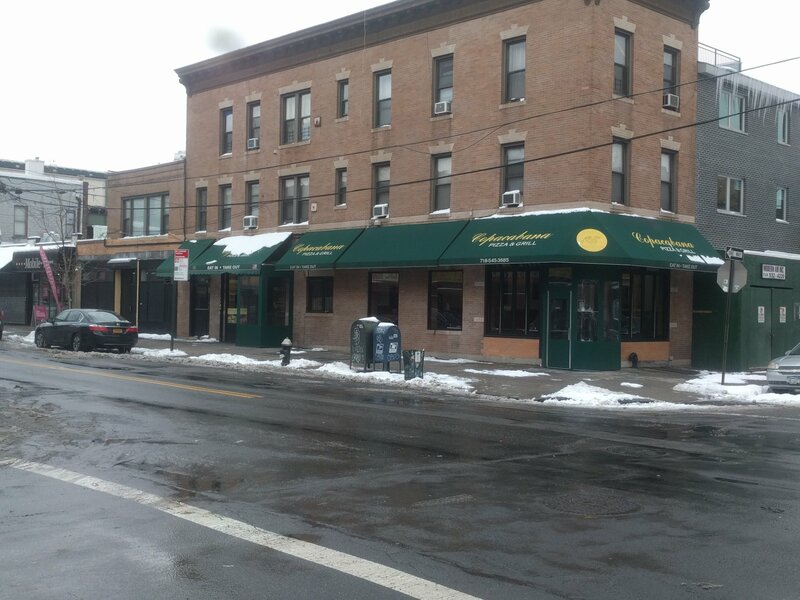 The first location is in Astoria: Near N, W trains 36th Ave subway station. 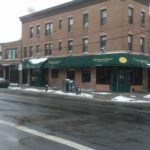 Corner of 32nd St.